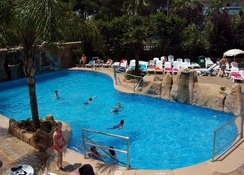 The Villamarina Club Hotel is an all-inclusive family-friendly hotel in Salou, in the beautiful and sunny Costa Dorada. 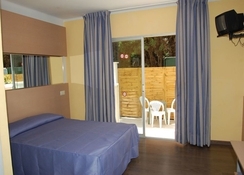 Equipped with facilities for a comfortable stay for the whole family, this is a great choice in Salou boasting of a strategic location near the beach and local attractions. The hotel offers 189 comfortable guestrooms that offer magnificent views and are equipped with a kitchen, living room, direct dial telephone, safe-deposit box and an en-suite bathroom with hairdryer. With two lovely outdoor pools, adults-only solarium with Jacuzzi, a pool bar, cinema, lively family entertainment and a mini disco, the hotel promises a relaxing stay experience to guests during their Salou holidays. 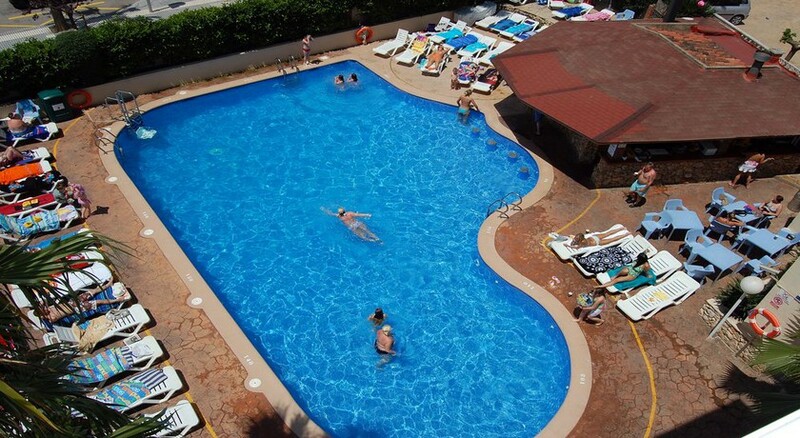 The Villamarina Club Hotel is 1km from the Salou beach, a 10-minute walk. The hotel offers free shuttles to the beach. The property can be reached via an hours’ drive from Barcelona. PortAventura Theme Park is only 3.1km from the hotel. There are lovely bars, shops and restaurants in the neighbourhood. Distance to the nearest field, Reus Airport is just 11km. The Villamarina Club Hotel has 189 spacious twin guest rooms (accommodates three adults and one child) furnished in contemporary décor and add a balcony with gorgeous views. These come with satellite TV (Spanish networks), safety deposit box (chargeable), an en-suite bathroom with hair dryer and housekeeping service. There are 24 two bedroom apartments too, ideal for large families and groups. 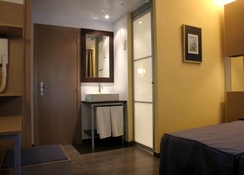 These add a washing machine in addition to other facilities, and share the hotel’s dining. The Villamarina Club Hotel’s buffet style restaurant serves varied local and international cuisine for breakfast, lunch and dinner. There are well-equipped kitchens to enable guests to prepare their own meals. The pool area has a snack bar too with lovely views from the terrace. 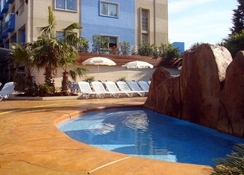 The Villamarina Club Hotel has two lovely outdoor pools and an adults-only solarium with Jacuzzi. There is lovely pool bar that serves sangria and snacks. Children can have fun at the kid’s pool or run about in the playground. There is a Kid’s Club that organises creative programs as well. There’s a small cinema and live entertainment programs for the whole family. Sports activities like rifle shooting, snooker, darts, table tennis and five-a-side football can be played at the hotel and there’s a games room. For adult’s there’s a separate entertainment program and a mini disco where they can let their hair down. 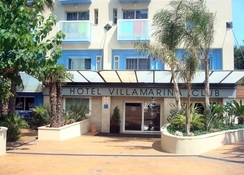 Hotel Villamarina was a lovely friendly hotel good value for money. Food was good all the family enjoyed mealtimes. Bar facilities and staff were great. Definitely return. The hotel was great staff amazing and kids club was great for kids. Lots to do and food was the best always something to eat and cakes were amazing! For my 65th birthday. All the staff were friendly an helpful rooms were clean but very small not big enough for a family. The food was lovely great variety different every day. Pools were lovely and great location. The music in the club at night was very loud but had seating outside where you could still watch entertainment. I would def recommend the villamoura and will certainly go back. had a fantastic stay here in June 2018 4 adults 1 teenager and 1 child, we had the apartment next door was a great size for our party although sfa bed could have been better, only a minute to walk to hotel where you will have a fab time. Food was plentiful and great something for everyone dining staff were lovely thankyou., also pool side snacks all day and evening if you want to feed the kids or yourself earlier. Entertainment was good the staff were very pleasant and couldnt do enough for you. the bar staff work tirelessly with a smile on their faces all day thankyou. All in all a great holiday no moans from any of us except when we were leaving you wont find better food in an a/i in Salou trust me i have tried 5 different hotels here. Had another great time at villamarina, so relaxing, enjoy with the kids or just break free to the roof top adults only with nice Jacuzzi's. Good food, entertainment, especially the new Greatest Showman show - brilliant. We genuinely can’t wait to return to Villamarina and we’re looking forward to bringing our son with us next time as the hotel’s kids club is fantastic!! Great time, would definitely recommend. We stayed at the Villamarina in July 2018. We have a fab time. The food was beautiful and staff very friendly and accommodating. The only bad thing I would say is that, there is no non-smoking areas around both pools. We are non-smokers with two children and found it very hard to lie at the pool with the smoke. We did speak to reception about it and she said that we should state this issue when completing our reviews. This would be our only reason for not staying in this Hotel again. Apart from that everything else was super. Rooms small but clean staff brilliant very helpful food amazing. We stayed here for our first family holiday it had everything we needed for it the room was a bit crowded as there was 2 adults and one baby and we had 3 beds a travel cot plus our cases.